Ever worry about what's in your backyard? 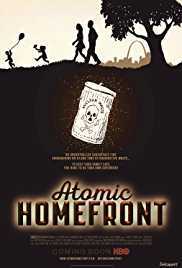 The City of St. Louis has a little known nuclear past as a uranium-processing center for the Atomic bomb. 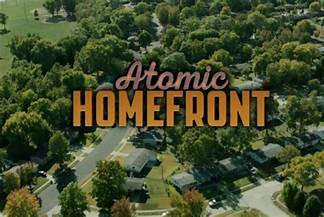 Government and corporate negligence led to the dumping of Manhattan Project uranium, thorium, and radium, thus contaminating North St. Louis suburbs, specifically in two communities: those nestled along Coldwater Creek – and in Bridgeton, Missouri adjacent to the West Lake-Bridgeton landfill. In the Coldwater Creek area, residual radioactive waste was left outside in piles along Latty Avenue, a street very close to the creek. St. Louis is a flood plain so when it rained, dangerous radionuclides flooded into the creek. And inundated homes, gardens, public parks and businesses. For decades, children played in or alongside the radioactively-contaminated creek. Residents have now documented their illnesses: high rates of very rare cancers, birth defects, and various autoimmune disorders. These illnesses are potentially linked to ionizing radiation poisoning although what is required is a epidemiological study on how low-level radiation effects humans over decade. Another tragic and bizarre occurrence has been unfolding in Bridgeton, Missouri. In 1973, approximately 47,000 tons of the same legacy radioactive waste was moved from Latty Avenue and was illegally dumped into a neighborhood landfill named West Lake. This landfill became an EPA Superfund site in 1990. For the last seven years, an uncontrolled, subsurface fire has been moving towards an area where the radioactive waste was buried. The community’s fear is that fire will meet the radioactive particles. These particles will then attach to smoldering vapor and become airborne, migrating off-site and contaminating communities miles away. Remarkably, Republic Services, the company that owns and operates the landfill continues to state that the landfill is in a “safe and managed state.” The company also states that the underground fire is contained and not approaching the radiation. Ironically in March 2016, the EPA re-mapped a radiation storage area and found that radiologically-impacted materials migrated farther south than first thought. Therefore, the radiation is now closer to where the subsurface fire is. In August 2016, the EPA admitted that the radiation was less than 700 feet from the fire. Although the E.P.A. acknowledges the radiation is there, they refuse to order an emergency action to take over and relocate families closest to the landfill. Residents are outraged by this bureaucratic nightmare and this situation has created an “us versus them” dynamic that is fueling community advocacy. Their collective view is that the EPA’s Superfund laws are failing to protect them. Just Moms STL, a strong group of moms-turned-advocates believes their communities are being poisoned. Just Moms states that they will not stop fighting until the EPA either fully removes the waste or permanently relocates residents living nearest the landfill. 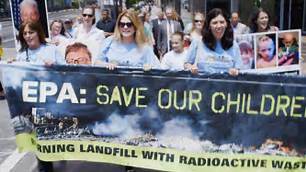 At the same time, the grassroots organization, Coldwater Creek – Just the Facts Please, is working to educate the community, educate healthcare professionals, and for community inclusion in the Radiation Exposure Compensation Act. Our film documents those (mostly women) who have mobilized to get answers, created a powerful coalition and continue to fight for environmental justice. St. Louis, Missouri is the case study for how legacy radioactive sites, in suburban areas, are presently being mismanaged and mishandled by federal and state agencies and private corporations who are supposed to be accountable.